It’s very dry at the moment in case you didn’t notice. Which presents us with a few problems. The soil is dry. It makes it very hard. The roots of weeds you want to pull out hold on tighter to the soil, making it harder to pull out. If the rain comes down too quickly it will run off instead of soaking in properly. Most importantly we want it to rain, that’s the problem. In August I heard a weather report saying it would be less than average rainfall through September, October and November. I didn’t think it would come true, but they were dead right. So be careful in your garden. Importantly in these dry conditions we have to take it easy with the fertiliser. 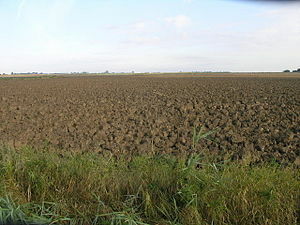 Fertilisers are types of salts, and act on plants just like they do with the human body. When we consume excessive salts, we get thirty. So do plants. In these conditions it’s best to use fertiliser only if you have a bore type irrigation system. Any tanks around the house should be well and truly dry by now. If you fertilise anything you’ll need to give it more water than usual. If you don’t it will be showing signs of stress quicker than normal. Unlike just simple water stress, you’ll notice dead edges on the tips of your leaves especially the new ones. 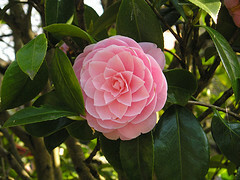 The thing that brought this to mind, this morning a client put dynamic lifter on a camellia. I suggested to her that this wasn’t a good choice. Why? Dynamic lifter is alkaline (alkalinity) and camellias prefer acidity. To understand what I mean click the highlighted links. A lot of our favourite plants are acid loving. Murrayas, citrus, azalea, camellia, port wine magnolia all prefer acid soils, which is what we have here. In soil dynamic lifter usually isn’t so bad. But in pots, the plants don’t forgive as easy, and things like touchy grevilleas will die very easily. So it’s dry and you fertilise with dynamic lifter. Take care and water it regularly. Usually 2-3 times a week in clay soils and at least 4 times a week in sandy soil. 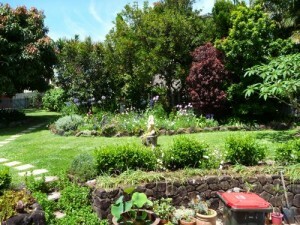 This entry was posted in Garden Maintenance and tagged dry, Fertilizer, water stress. Bookmark the permalink.